Founded in 1836 by two brother Eugene and Adophe Schneider who bought the Creusot forges, mines and foundries playing major part in the steel, railroad, heavy industry and ship building during the Industrial Revolution. After playing a key role 1918 in France’s triumph, Schneider had to evolve to peacetime. Taking advantage of the growing electricity, steel and cement markets. 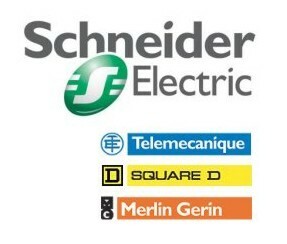 Today the three brands Telemecanique, Merlin Gerin and Square D derived from these times thrive as world leaders in the low and medium voltage industrial control components and power distribution equipment sectors. Telemecanique Partfinder > Finding it difficult to locate Telemecanique parts Buy Online or Call us full range available.